All offers related to Bus at one Place. Now, Enjoy your bus rides at discounted rates only at AllTrickz. Looking for an offer on Bus Ticket Bookings? Search no more. Here is a festive offer for you. 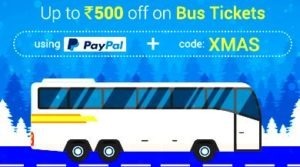 Get 100% cashback (up to Rs 150) on Bus ticket bookings through Paytm. This offer is valid on both old and new users. So, don’t miss it. Book now. How to Get 100% cashback (up to Rs 150) on Bus ticket bookings? 1. First of all, Go to Paytm or download Paytm App – Android | iOS | Windows. Looking for an offer on Bus Ticket Bookings? Search no more. Here is a festive offer for you. 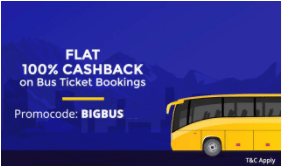 Get flat Rs 100 cashback on bus ticket booking worth Rs 200 or more. This offer is valid on both old and new users. So, don’t miss it. Book now. How to get flat Rs 100 cashback on bus ticket booking worth Rs 200 or more? After a successful run of “TRAVEL2019” promo code, we are back with another promo code with same benefits. Looking to book bus or flight tickets for this festive season of Holi? Here is a deal for you. Get 20% cashback (up to Rs.1000) on Bus & Flight ticket bookings through Paytm. Don’t miss it. Book now. How to Get 20% cashback (up to Rs.1000) on Bus & Flight ticket bookings? Times Points is back with a brilliant offer under its loyalty program. Just Sign up and Complete your profile to get 120 Points which can be redeemed against numerous offers like Free Rs 1000 Paytm Cashback Code on Flight Bookings or Rs 100 cashback on movie tickets or Easemytrip Rs 350 off voucher and many more. 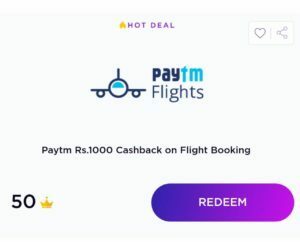 How to Get Free Rs 1000 Paytm Cashback Code on Flight Bookings? Yesterday we posted on how to Get 20% cashback (up to Rs.1000) on Bus & Flight ticket bookings. If you have already used that offer on flight or on bus and want to book another bus ticket on discount then here is a deal for you. 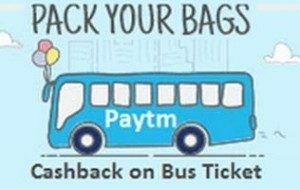 Get 10% cashback (up to Rs 1000) on Bus ticket bookings through Paytm. Don’t miss it. Book now. How to Get 10% cashback (up to Rs 1000) on Bus ticket bookings? Going home or visiting friends this Christmas or New Year? Allow us to not let you pay full price of your Bus ticket. 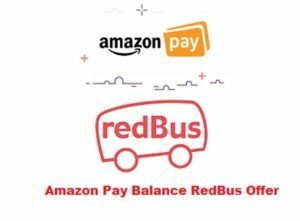 Choose Redbus and get flat 50% cashback (up to Rs 150) on booking bus tickets on payment with Amazon Pay. How to Get Flat 50% cashback (up to Rs 150) on booking bus tickets? 1. First of all, go to Redbus. After starting Train tickets booking you can now book you bus tickets too on RailYatri Website or App and get unbelievable discounts. If you are a new user, get Flat Rs 200 off + 50% Paypal cashback (up to Rs 300) on Bus tickets booking. 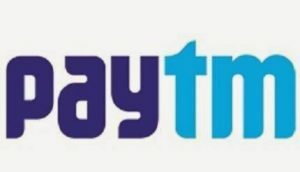 How to Get Flat Rs 200 off + 50% Paypal cashback (up to Rs 300) on Bus Tickets? 1. First of all, go to RailYatri or download RailYatri App.